Before we dive into tips on how to keep birds out of your garden, it is important to point out that birds can actually be beneficial when they are not eating your corn or stealing your berries. Birds can help keep several pests out of your garden by dining on snails, slugs and insects. They can also help fertilize your soil with their droppings, can help turn the soil when scratching for insects and are fun to watch. 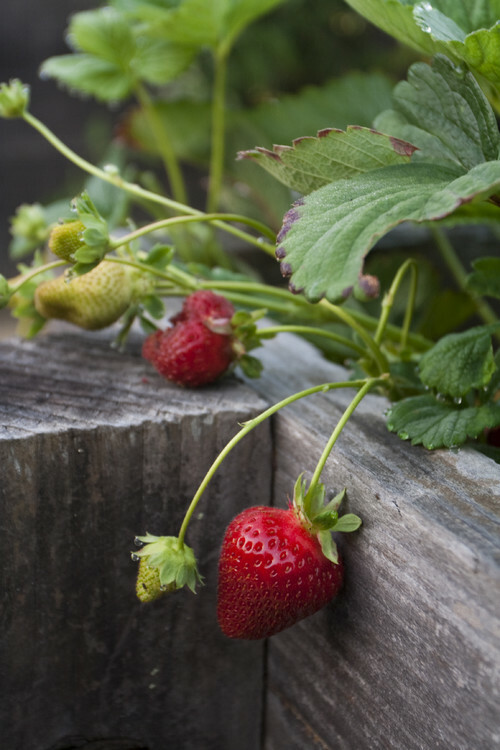 However, some birds will eat your corn, destroy your strawberries by pecking them for the seeds, steal your blackberries and sunflower seeds, or even eat some of our vegetables. If this is the case in your garden, it might be time to employ some tricks to keep birds out of your garden without harming them. 1. 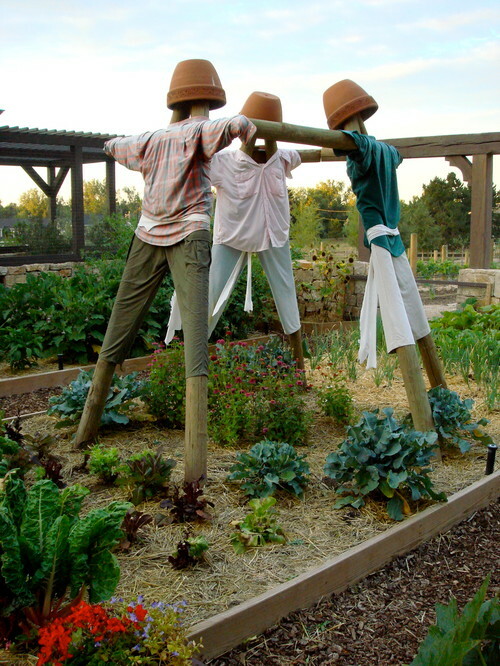 Build a Scarecrow: Scarecrows are a tried-and-true method for scaring birds away from crops, which is usually the best way to keep birds out of your garden. You can make a basic scarecrow with two bamboo poles and some old clothes, or you can make an elaborate scarecrow with stuffing, a hat, and even boots. Aside from being an effective method of keeping crows away from your crops, you can also have a lot of fun with this one and can even get the kids involved. 2. Add Some Shine: An inexpensive, sometimes-effective option is to string something shiny and silver on fishing line, and then run the line between posts or poles throughout your garden. You could use strips or squares of aluminum foil, foil to-go containers, silver ribbon, Mylar steamers or balloons, old-school pie tins, old CDs or DVDs, or reflective tape. 3. Add Predators: We do not want to add any real predators that might harm the birds or other animals that visit your yard, but you can add fake ones to try to scare the birds away. The most common options are plastic owls, hawks or snakes. All of these options can be found for less than $20.00, although some fake garden owls and hawks can cost much more than that. If you ask 10 gardeners whether or not this trick works to protect your garden from birds, you will probably have five tell you that it works and five tell you that it does not work. One way you can help ensure success is to make sure you move your fake predators around your garden so that birds do not get used to them or realize they are fake. 4. Add Scary Noises: Some fake owls and hawks come with a sound chip that produces predator-like screeches to scare off birds. If you live in a suburban or urban neighborhood, your neighbors may not love this one, but it is an option. 5. 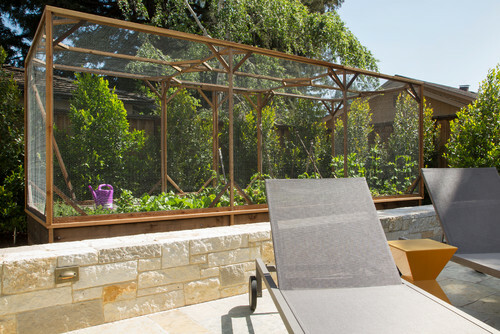 Cover Your Garden with Bird Netting: Bird netting is a bit controversial and may not be the best choice if you want to deter birds without harming them. While this is an effective way to keep birds out of your garden, they can become tangled in the netting, which could lead to them being stressed, injured or killed. Birds can also get through the netting and become trapped inside. Bird netting is inexpensive, easy to find and easy to use to cover your plants, so you may want to consider it. Just be sure to check your garden regularly to see if any birds are tangled or trapped. Wire bird netting or plastic hardware cloth is generally considered a safer and equally effective method for protecting your garden from birds. You can make hoops or frames from PVC pipes or wood to help you install a net barrier to keep birds out. 6. Plant Sacrificial Flowers or Bushes: To keep birds out of your garden, you might want to try providing them with something appealing to attract them elsewhere. For example, planting some sunflowers in the corner of your yard away from your garden may attract them to that area of your yard instead of the spot where you grow your herbs and vegetables. You might also find that something as simple as feeding your backyard birds with a bird feeder can be an effective way to protect your garden. 7. Use What You Have: You can use just about anything that provides a barrier while allowing water and sun to get to your plants. 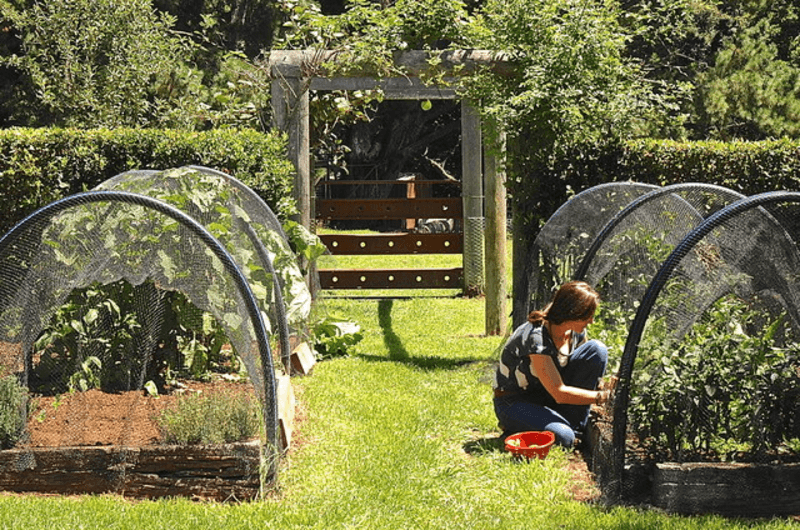 For example, you can cover individual plants with wooden crates, an upside-down laundry basket, mesh food cover tents or colanders. You will likely have to change your tactics as larger plants mature, but this an easy, affordable way to keep birds away from seedlings and young transplants. If you are trying to keep birds out of your garden, you may also be interested in these articles about how to keep other pests away from your plants.